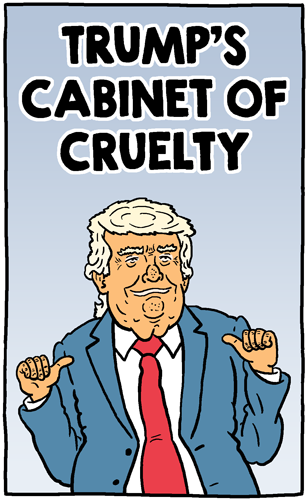 You don’t need to wait for Mueller to find out that this administration is full of mendacious assholes. 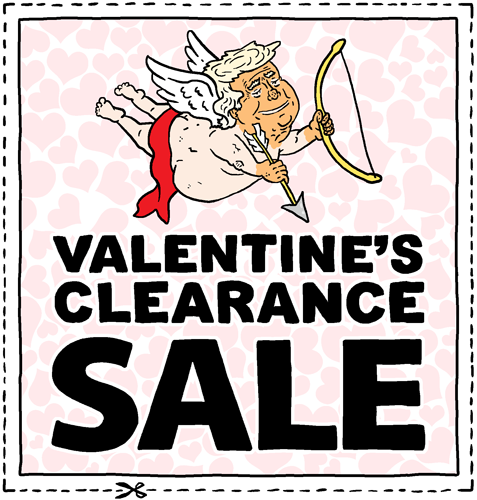 Mitch McConnell thinks those chalky candy hearts are too spicy. 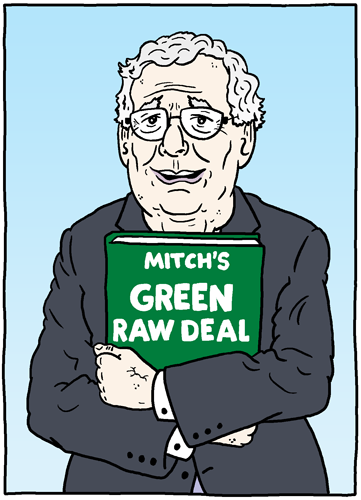 If you want more Mitch McConnell, Civil Defense and turtle references, you might want to watch this cartoon I wrote and storyboarded for The Nib’s animated series. Be sure to check out the rest of the first two seasons! I wrote and contributed to a bunch of it. All 20 episodes can be found here. The Philadelphia Flyers’ introduced their new mascot, Gritty, this week. 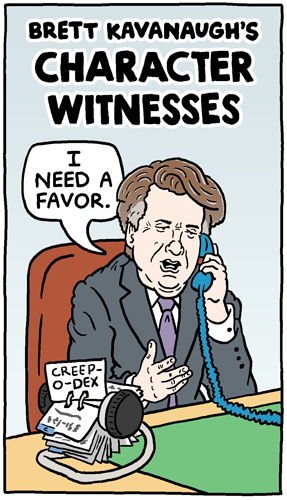 The Supreme Court would be more credible if he was nominated for the Supreme Court instead of Brett Kavanaugh. 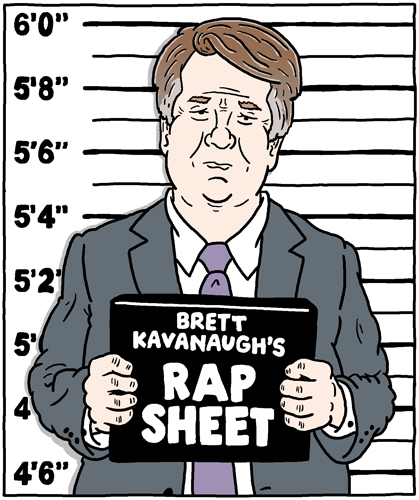 This cartoon almost has fewer men in it than the “Women for Kavanaugh” bus. 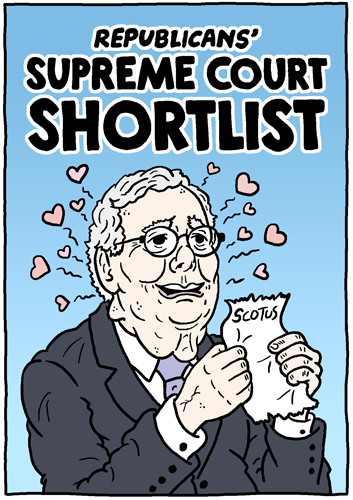 I still think Kavanaugh will be confirmed, for the very reason cited in the Mitch McConnell panel. 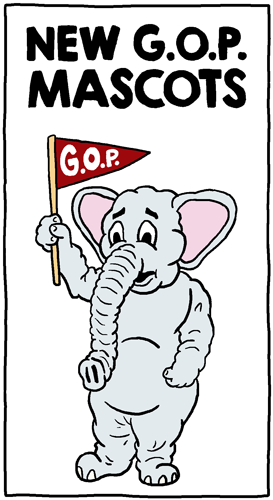 But the longer the process is drawn out, and the more Republicans have to defend him, the less time they have for other shenanigans leading up to the midterms. With all the plea deals and guilty verdicts going around this week, Republican members of Congress are scrambling to ram Brett Kavanaugh’s nomination through. Hopefully time’s running out before the public finds out he’s a scummy GOP hack who thinks Trump and all presidents should be above the law. 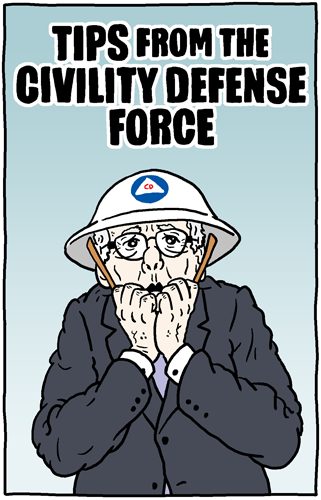 Mitch McConnell broke the country to steal one seat, and any senator who votes to gives him another one should be primaried, or (GASP!) yelled at while dining at a restaurant.